Look, I get it, December is a busy month. Even with 2018 featuring the longest possible time between Thanksgiving and Christmas, the last month of the year just has a way of flying by. And then just when the holidays are over, the New Year is upon us and we’re all back to work catching up on everything we were supposed to do last year. So, I forgive you if you missed our not one, but two product releases at the end of 2018. But now that you’re all caught up with the rest of your responsibilities, let's talk. New in v11.9! Attach arbitrary files to submitted form sessions! Click to see! 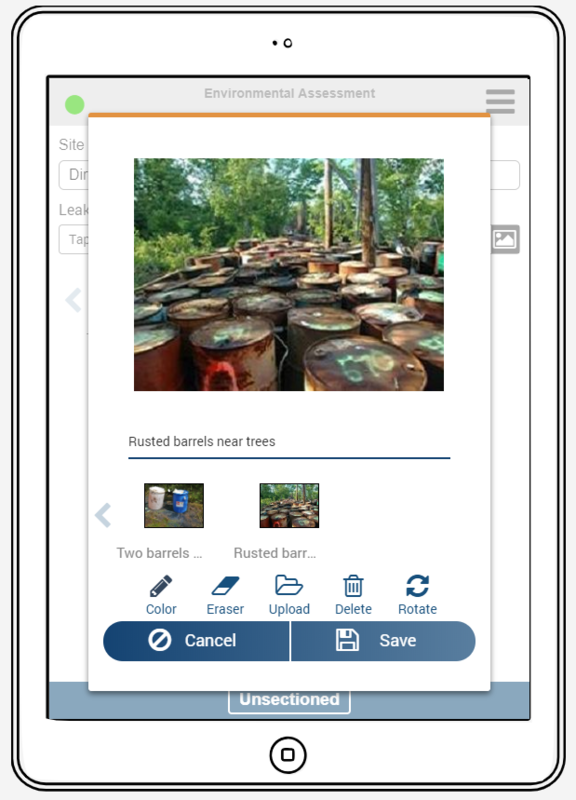 In early December, we released Mobile Impact Platform v11.9. And with it, we brought two long-asked-for features. 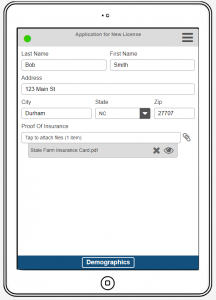 The first, the ability to attach arbitrary files to submitted form sessions, gives you the ability to collect even more non-text data within your apps. Your users have long been able to capture photos, signatures, and GPS data, and now they can bring anything else their device allows them to access. 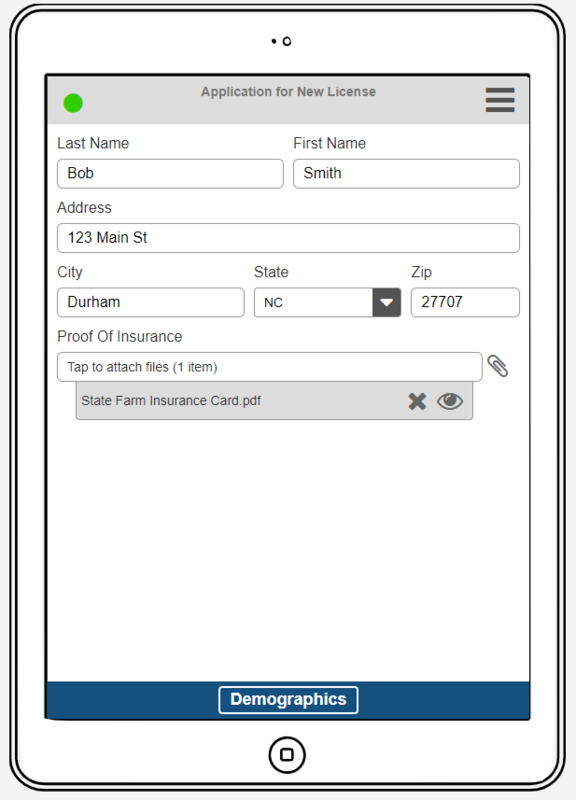 Need that scanned PDF submitted with your agricultural permit application? No problem. 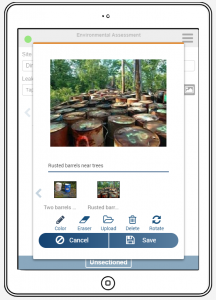 Need to send a plan from iCloud with your well or pipeline site survey? You can do that too. And all of that data is available for integration with your existing back-end systems. And while we’re on the subject on non-text data collection, the second aspect we’ve improved is image capture as well. You asked for the ability to give each photo a caption, and we’ve given you that. But we’ve taken it a step further as well. Images can now have tags. Want to tag an image with the compass direction you were standing when taking it? You can do that. Want to associate an image with another asset? Yup, we added that too. Image editing and tagging now available! Click to see! And while you were all sleeping off the effects of dozens of holiday desserts, we weren’t quite done with the year. On December 31st, we released our v11.9.3 service release. This allows form designers to more easily change report properties such as fonts across multiple fields. And for our partners and enterprise customers, if you want to brand the app to look a bit more like your own brand – well, ask your account rep because that’s possible too. Lastly, we wanted to share our technical operations resolution with you. Frankly, we haven’t been great lately about keeping you all informed about new and innovative product features that come with each iteration of the Mobile Impact Platform. That changes this year. Our email newsletter will have a section each month highlighting the latest and greatest, so watch this space and subscribe to get the newsletter by filling out our contact page as we’ve got some really exciting features coming soon. Until next time, here’s wishing you luck on your post-holiday diet, and let us know how you use our holiday feature gifts!